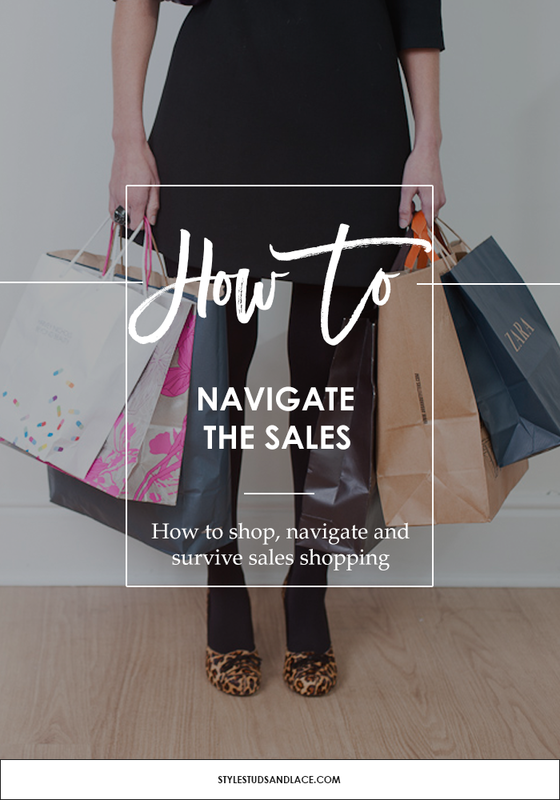 Shopping during a sales period is a totally different experience to shopping at any other time of the year. Not only do the retailers make the most of every available space; cramming the shelves and rails full of reduced stock that often looks unappealing and is hard to navigate, but the shops are busier than they’ve ever been before forcing you to fight other people for car park spaces, personal space and of course, the best bargains. Then when you do manage to find something you like that’s in your size there’s the loooooong queue for the fitting rooms to stand through. It’s not for the fainthearted. 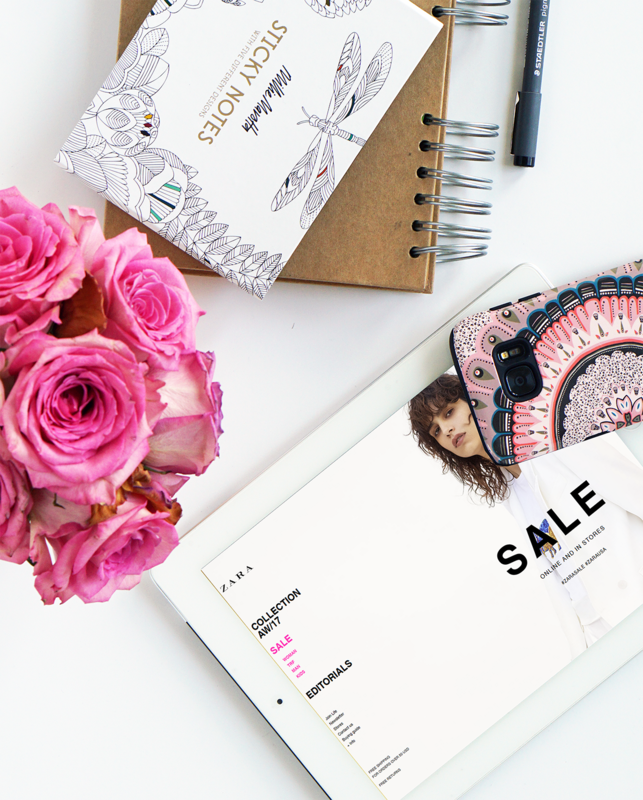 I take people for shopping for a living so I’m pretty adept at navigating the stores and scouring the rails for the right pieces, but shopping in the sales really tests my limits…so much so that I take clients shopping online rather than in-person during this time. But if you must hit the shops during the sales you’ll need good stamina and you’ll need to be armed with a plan otherwise you’ll not only lose your temper, I can guarantee you’ll also lose money (hands up anyone who’s bought something they’d never normally go near because it was cheap, or worse still purchased an item that was the wrong size with the intention of shrinking into it?). Still up for it? OK then, here’s my guide to navigating this minefield and coming out the other end smiling. Check your wardrobe and make a quick note of the items you already have so you don’t end up adding more of the same to your collection. Set yourself a realistic budget so you don’t get too carried away – you’re supposed to be spending less not more. Wear comfortable footwear and avoid wearing too many bulky layers that you’ll only end up taking off and carrying. Take a decent sized handbag and a bottle of water. If you can, try to get to the shops nice and early. It won’t be quiet but it will be much quieter than at lunchtme! This might sound obvious but buy the right size! I’ve seen too many wardrobes to know how easy it is to be persuaded by a cheap price tag even if the item doesn’t fit properly. Don’t buy something just because it’s reduced, ask yourself if you would still want to buy it if it was full price. If not the chances are it’ll just sit unworn in your wardrobe. Buy something you’re going to wear otherwise you’re not saving any money! On that note don’t panic buy! Many stores won’t allow you to put items on hold while you think about them…it’s a brilliant way to persuade us to buy things we’re not sure about. If you find yourself ‘umming’ and ‘erring’ about something be honest – what are you not sure about? Would you still want to buy it if it was full price? If not, then it might be advisable to put it back. Listen to your head not heart. If you absolutely love something but think it might not be quite right for you, leave it. Something’s just aren’t going to suit you no matter how much love them. Before parting with your cash have a quick think back to your wardrobe and check that you have at least three items already that will go with it. If you don’t you may find you can’t wear it much or that you might have to go out and buy more clothes to go with it. Check the returns policy. Not all stores offer refunds on sale items so make sure you know what your options are before you part with your cash. And on that note, if they do offer refunds then make sure you keep the receipts in a safe place. The sales are the perfect opportunity to invest in good quality items that you wouldn’t normally be able to afford – I like to hunt down premium denim that I know fits me beautifully and lasts for years. Think about the following season. Shopping for new season trends in last season’s sales is one of my favorite things to do. It’s not easy and takes some hunting down but it’s a great way to save money, and it feels pretty great when you see something similar a couple of months later, for over twice the price. Look out for staple pieces like coats, jackets, jeans, boots and good knitwear – these are the pieces that are often a little pricier but that form the foundations of your collection. If there’s a particular item you’ve been tempted by but are worried might push you too far outside your comfort zone then the sales offer an opportunity to try it out with minimum risk …but do so with caution and ask yourself how much you’re prepared to spend on something you may never wear. Look for accessories. These are a brilliant item to buy in the sales as they don’t date as quickly as clothes and are such an easy way to update an outfit with little effort. And finally, if it’s all too much do what I do and shop online, or get in touch and let me take you online shopping! I’ve written some more posts like this that I think you might find useful. 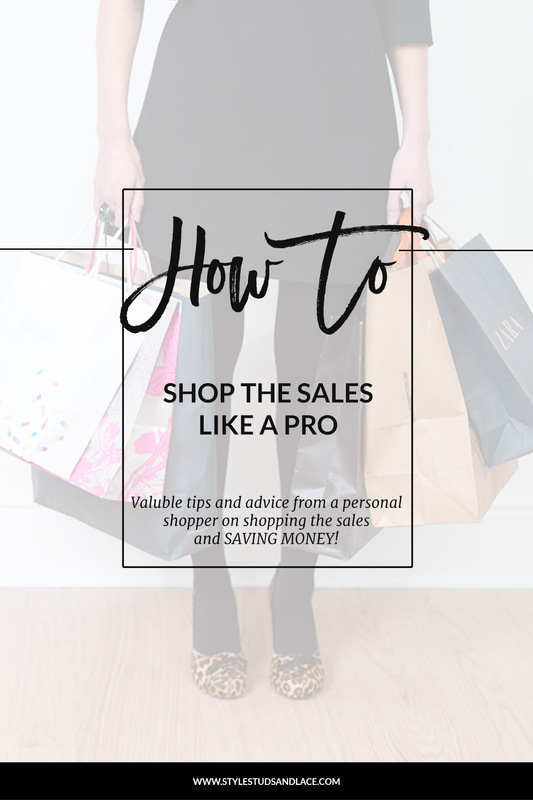 In this one I share my advice on getting the best possible fit, off the peg and this one shares my top tips to shopping online.